Fiat 500 1.3 Multi Jet DPF Removal (DPF-OFF) Breakthrough!! 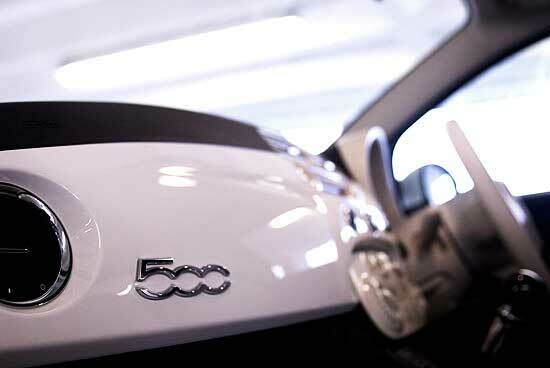 The Fiat 500 1.3 Multi Jet is a cracking car. It’s small compact design and slick sporty interior perfectly matches the mighty power given from the 1.3 multi jet diesel engine and to say it’s a small car, it’s definitely quite roomy on the inside (the front seats are anyway). Obviously as with any car it has it’s flaws but if they can be fixed inexpensively, the savings on diesel will make up the difference – getting an impressive 67.3mpg! Since the arrival of the Fiat 500 1.3 Diesel Multi Jet engine we began working on a solution for the Diesel Particulate Filter because as with other vehicles fitted with the similar engine it was quite an issue, however, it has turned out to be a bigger issue than we first anticipated. Some owners of the Fiat 500 1.3 Multi Jet have reported having to have up to 4 oil changes in a matter of 10,000 to 15,000 miles. This raises major concerns as to the effects the Diesel Particulate Filter of the Fiat 500 has on the turbo charger and injectors. A Diesel Particulate Filter is often referred to as the DPF (also known as a Filtre à Particules (FAP) and some people even dealerships refer to it as CATS (Catalytic Converters) however, they should not be mistaken as although both work to clean emissions, they clean them differently. The DPF is designed and integrated into the Diesel Engine exhaust systems to trap & remove Diesel Particulate Matter or Soot from the exhaust gasses of the diesel engine. Much like the Catalytic Converter of conventional petrol engines, the Diesel Particulate Filter works to remove harmful toxins and lower the emissions of your diesel engine making it more environmentally friendly. For more information on Diesel Particulate Filters and how they work, check out our DPF Removals article. Removing the DPF should be a pleasant and simple procedure, however, more and more vehicles are becoming harder and harder to work with as the infrastructure becomes more complex and the encryption of the data strings are harder to crack into. To date we know of no other company able to access the data of the Fiat 500 1.3 Multi Jet engine DPF settings. In normal circumstances, a tuner would reprogram the engine ECU to delete the DPF settings and then go ahead and remove the particulate filter from the exhaust system physically. When they are unable to do so via OBD programming, they would proceed to remove your ECU and flash it on a bench tool to program the chip more directly, however, the main problem here is that no software can currently read/detect or rewrite the DPF data and for some time yet, this will be the main problem for all tuners across the country – if not across Europe!! Much like our breakthrough on the Mazda 6 DPF removals, we’ve yet again succeeded and moved forward with technology. Since the launch of the Fiat 500, our team of highly skilled and qualified engineers and technicians have been studying the data structure and encryption of the Fiat 500 ECU software and we are pleased to inform the launch of our latest service.. the Fiat 500 1.3 Diesel Multi Jet DPF Removal Service – We can communicate directly with the Engine ECU and delete the DPF entirely with no repercussions, that’s right.. No warning lights, No loss of power and No Limp Mode. To add to this service, as with any other DPF removal we carry out a full Smoke Correction service to ensure the vehicle will still pass an MOT guaranteed – this is something NO other company is currently offering in the whole of the UK. A fraction of the cost of replacing & maintaining a DPF!! So where are the flaws in removing your DPF? It’s all about finding the right company to put your trust in. Removing the DPF itself carries no negative results, however, if the DPF removal is not carried out by a specialist company then the results can be devastating. We’ve seen many horror stories of engines failing, MOT’s failing, turbochargers failing and so on. You can only have the DPF removed once and it’s in your interest to have it done professionally. We take pride in our work and always ensure that every DPF Removal carried out is to the highest of standards. There are now dozens of new “companies” appearing all over the country and many of which are a “one-man band” offering DPF Removal services. A vast majority of them are nothing more than a man at home with an inexpensive piece of “automated” software. The problem here lies within the software and not so much the programmer. The automated software helps anyone to start their own business removing DPF’s because quite simply all the user has to do is plug in their laptop to the vehicles OBDII diagnostics port, download the ECU data and then follow the on-screen instructions. The Automated software will then attempt to read the data, scanning through it using the pre-set parameters whilst finding & erasing all DPF related data strings. When doing so, it is possible that the software can delete data structures which are important for the vehicle to run correctly because many of the data strings for the DPF are interlinked with other sensors such as Fuel Rail Pressure, Exhaust Temperature, Lambda, Airflow and so on.. The automated softwares in some cases do have parameters in place to stop it from deleting these data strings but then this also causes problems because it’s leaving partial DPF data in the ECU mapping which can then go on to cause more problems and errors later on. 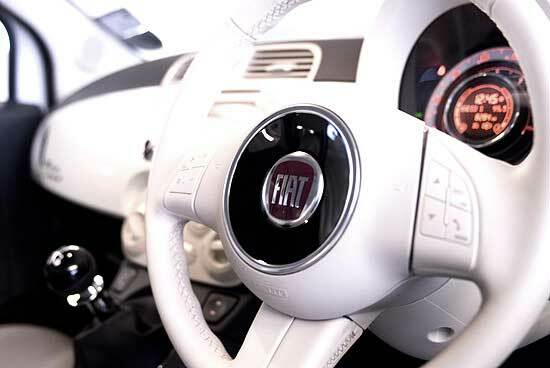 – However, with the Fiat 500 1.3 Multi Jet engine it will be impossible for ANY tuner to successfully remove the DPF without problems due to data encryption. We can now, confidently offer a complete “DPF Removal” service whereby we turn off the DPF settings from the ECU and successfully remove the DPF (Diesel Particulate Filter) from the exhaust system with zero errors – That’s right, your vehicle will NOT fall in to LIMP HOME MODE and you will NOT suffer any error messages ever again! We launched the release of this service at the beginning of January and since then, we have successfully carried out Fiat 500 DPF removals on 27 cars in just one month with no problems at all. We manually scan through and delete all DPF data strings and where data strings are interlinked, we recode the data to ensure that other sensors will still operate as they should whilst removing all possibilities of the DPF ever becoming an issue again. Tags : Fiat 500 1.3 Diesel Multi-Jet DPF Removals, Fiat 500 1.3 DPF, Fiat 500 1.3 DPF Removal, Fiat 500 1.3 particulate filter removal process, Fiat 500 de-dpf, Fiat 500 Diesel Particulate Filter Removal, Fiat 500 DPF Delete Procedure, Fiat 500 dpf failure help, Fiat 500 dpf fix, Fiat 500 dpf fixed, Fiat 500 dpf help, Fiat 500 DPF Issue Resolved, Fiat 500 dpf off, Fiat 500 dpf problems, Fiat 500 dpf regen, Fiat 500 dpf regeneration, Fiat 500 DPF Removal, Fiat 500 DPF Removal - Completely Legal, Fiat 500 DPF Removal 100% Success Guaranteed, Fiat 500 DPF Removal By Sinspeed, Fiat 500 dpf removal mot, Fiat 500 dpf removal procedure, Fiat 500 dpf removal remap, Fiat 500 dpf removal session, Fiat 500 dpf removal solution, Fiat 500 dpf solution, Fiat 500 dpf solutions, Fiat dpf, Fiat dpf problems, Fiat dpf removals, Fiat dpf repairs, Fiat dpfs, help with Fiat 500 dpf problems, how to remove Fiat 500 dpf, Removing Fiat 500 1.3 Diesel Multi-Jet DPF, Removing Fiat 500 DPF, removing Fiat dpf, replacement dpf for Fiat 500.
all your points may be correct but it's illegal under C&U regs to make the cars emissions worse than its design values. what is wrong with maintaining the car in accord with the manufacturers? Thank you for this comment I completely agree with you here, which is exactly why we are the ONLY company who can carry out a successful DPF removal without breaking the law. We carry out a smoke-correction service all inclusive in the price and guarantee your vehicle will still meet the emissions/smoke standards required. There are companies that will simply use "automated softwares" to turn off the DPF settings and then remove the filter.. this as we know causes many problems and one of which is it being illegal. We don't have any agents in Malta but if you send us an email we may still have a solution for you. I have noticed a question from a user in Malta and I happen to be dealing on a second hand -2008 vehicle with 28000miles Fiat vehicle with a multijet engine. Could you hint briefly what are the common troubles of these vehicles. As to the removal of the so called dpf here in Malta, what are your suggestions please. On these vehicles we primarily deal with just the DPF functions and the removal of the DPF system so I can only comment on this side of this. The DPF's for these multijet engines are designed very small to accommodate the small engines but even so, they are still getting blocked up very quickly. The Fiat 500 DPF for example is no bigger than a large can of beans and mounted directly after the turbo but still gets blocked up and can cause Carbon Backup which can lead to various other problems i.e. Turbo failure, Injector Failure, EGR Failure and in some extreme cases complete Engine Failure. I need an solution for DPF off for an Fiat Doblo 1.3 cdti . We do offer the service for this vehicle no problem. Please call our office on 0871 2887 666 or alternatively please send an email to support in regards to pricing and further information. Hi Guys, my wife has a Fiat 500 diesel and we are having our third problem with the DPF. The car is very much a city driver and simply does not get hot enough for the system to work properly. Car is 4 years old. The dealer has never really explained what the problem is and it is only now that I have researched online and found exactly what is going on. We are in Toowoomba Queensland Australia. We now have found a good Fiat mechanic that we trust. Are we able to buy your package to successfully remove the DPF? Any suggestions you have will be gratefully accepted. Many thanks. John Borch. Being in Australia, we would recommend our postal service for the fastest and safest option. We can program the ECU to de-activate the DPF in just a few hours from receiving it and dispatch it same day (if received by us before 1pm). We give a Lifetime warranty as well. For more information and pricing, please call us on 0844 847 9999 or alternatively, please send an email to support. 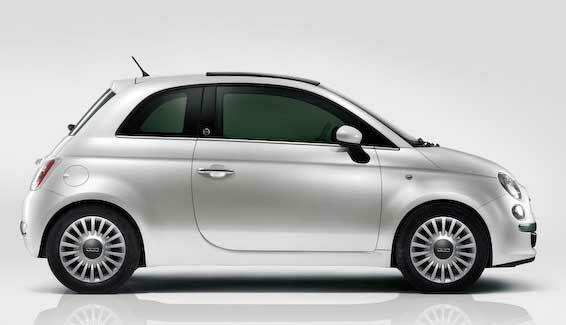 How much for a dpf removal on a fiat 500 1.3 (75)? will that also include a ecu remap? A remap can be included with all of our DPF Removal services. We have sent you an email, kindly respond with your postal code for a customised quotation.